Our very first pasture-raised farm is in full production! We began construction on our farm in the fall of 2017 in partnership with a local producer. In the spring of 2018, we populated our farm with young hens that began laying eggs in late March. 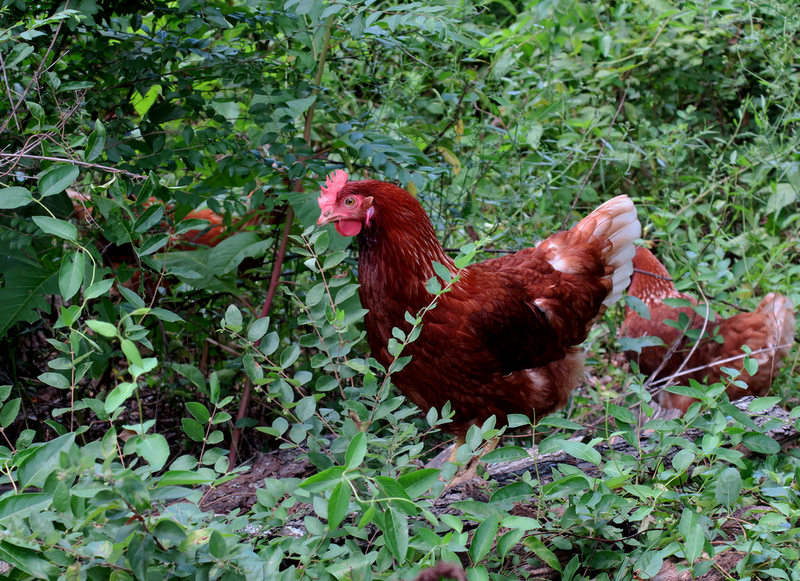 These hens have 21 acres to roam and a variety of vegetation to munch on. Their living environment is complete with a state-of-the-art hen house, open pasture and a wooded area with plenty of shade during the summer months. The hens love sticking together to follow whomever is in the pasture, as they are very curious creatures! They coo and lightly peck at your feet, trying to figure out just who is paying them a visit that day. When it comes time to lay their eggs, the hens go inside and find their designated nest that rests on a slight tilt. Once the egg is laid, the slight tilt of the nest allows the egg to gently roll to a specially-designed conveyor belt that transports it to the front of the house. Here, a farmer places the egg in a tray that is sent to our facility in Nashville, NC to be washed, packed into cartons and sent to you! Keep an eye out for our pasture-raised eggs under the Born Free brand at Lowes Foods and Food City stores.